The Teen Economists: End of the Eurozone Crisis? End of the Eurozone Crisis? An announcement has been made by Mario Draghi, the President of the European Central Bank, which could potentially mark a major turning point in the Eurozone crisis. 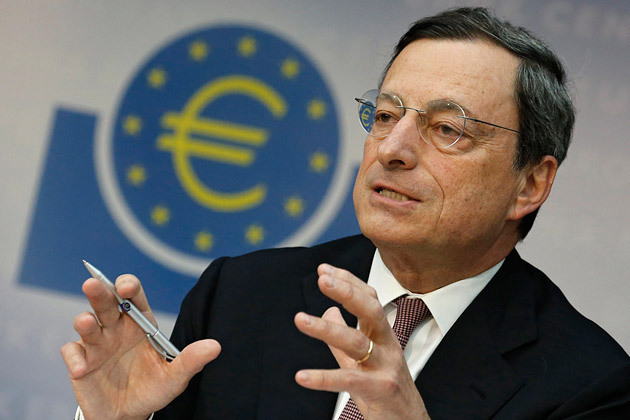 Draghi announced that the European Central Bank (ECB) promises to provide unlimited support to troubled Eurozone countries such as Spain and Italy. Draghi's plan is to remove the limit on the number of bonds that the ECB can buy from governments in troubled countries, which would cut those countries' borrowing costs. However there is a catch - Nations would first have to request help from the ECB as well as accept new conditions including an austerity clause. This may cause problems for countries such as Spain, where riots continue at the prospect of a bailout. Although markets soared when the announcement was made, critics from the German Central Bank say that Draghi's plan is not a long term solution and is just propping up governments. The announcement has taken away some major question marks about who's responsibility it is to support the Euro when it is under pressure. Governments have failed at this task, and it is now the ECB's turn to see if they can offer the protection and insurance that the Euro badly needs. Following this announcemnt, one thing is for certain, I definitely won't be making any bets that the PIIGS (Portugual, Ireland, Italy, Greece and Spain) will default on their debts or bail out of the Euro any time soon.